PAPUA New Guinea and the World Bank reviewed their future cooperation in September, where they discussed potential financial support of US$175 million over the next two years. Prime Minister Peter O’Neill and World Bank group vice president for East Asia and the Pacific Axel van Trotsenburg were meeting to discuss the two entities’ close and ongoing relationship. As part of the discussions, Mr van Trotsenburg shared with Mr O’Neill details of his recent visit to Mt Hagen to work on the Productive Partnerships in Agriculture Project. “The ongoing and expanded project in the agriculture sector is of particular value to smallholder farmers in the coffee and cocoa sectors, while other projects are also providing support for youth development and other social and economic activities,” Mr O’Neill said. Mr van Trotsenburg highlighted the dedication of both Papua New Guinea and the World Bank to work to common goals for people around the nation. “The World Bank Group and the government of Papua New Guinea share a strong commitment to improve the livelihoods of Papua New Guineans and today’s meeting with Mr O’Neill confirmed that,” Mr van Trotsenburg said. Mr O’Neill spoke of the World Bank and Papua New Guinea’s “healthy working relationship” at the meeting. “Papua New Guinea’s partnership with the World Bank has been built over many years and delivers tangible outcomes for people around the nation,” Mr O’Neill said. “We thank the World Bank for its offer to provide further technical support in areas where capacity strengthening is required. The discussion further covered a broader range of issues, including the long-term challenges that Papua New Guinea was facing and further ongoing cooperative opportunities. The meeting also discussed Mr O’Neill’s commitment to confront gender and domestic violence, and considered further partnership possibilities to further raise awareness in relation to these issues. 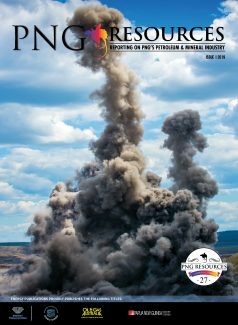 The “Bible” of the PNG Resources sector for more than 25 years. 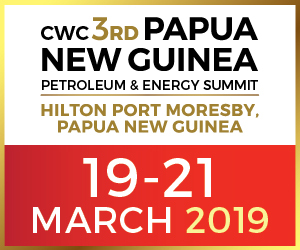 PNG Resources has been bringing the news of what is happening within Papua New Guinea for more than 25 years. © 2019 PNG Resources :: All rights reserved. Website by Saigon Logic.